I had the pleasure this Saturday of attending a full day lecture by Dr. Corky Willhite on transitional Bonding. Corky is one of the dentists I respect the most when it comes to composite education, and I had not heard him teach for many years so I was really looking forward to it. 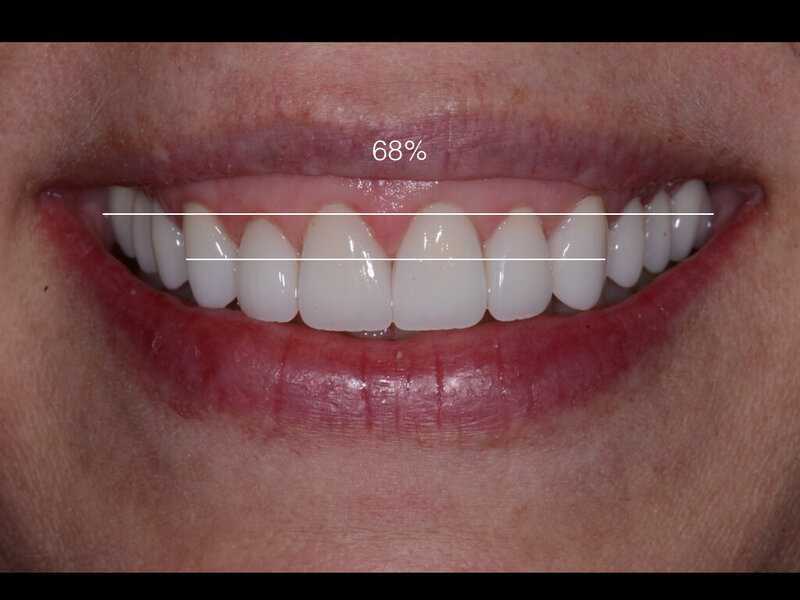 With all of the great new tricks I learned about composite, what I came away with that has me most excited is the four Esthetic Zone Ratios, to analyze and improve the attractiveness of a smile. 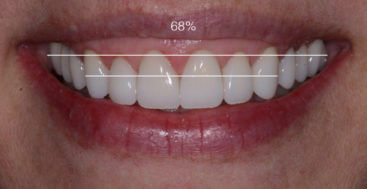 Esthetic Zone Ratios is an approach to smile design, and can be used in conjunction with or as a replacement for other smile design systems. 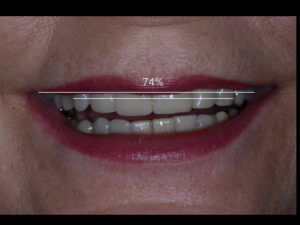 The first of the four ratios compares the width of the esthetic zone, all of the teeth visible between the commissures at a full smile, and the width of the anterior segment, from distal of the canines. The first thing to do is measure the two distances. This can be done in pixels by inserting a line over the photo, or measured with a mm ruler on a photograph. The relationship to real width is irrelevant as we are going to use a ratio. We then divide the width of the anterior segment by the width of the esthetic zone and multiply by 100. Smiles that are rated as attractive have an arch width ratio between 59-75%, and the average ratio is 66%. The percentages do not have a gender or age bias which makes relying on these numbers easy. In the next few posts I will go over the other three ratios used for smile design.